Smile Code is a nourishing and anti-aging treatment for the lips in a dual-ended pen with 2 reservoirs; the lip volumizer (foam-tip lip wand) plumps and nourishes the lips while the lip contour treatment (brush) promotes a more youthful looking lip contour. Featuring marine collagen, St. Paul's Wort, silk tree extracts and peptides to plump, a natural blend of spices to activate microcirculation and support an intensification of color, nourishing jojoba and avocado oils to regenerate, smooth and protect. The dual action of Smile Code promotes a younger and fuller looking lip and lip contour. 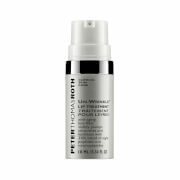 The lips appear plumper and intensified in color while wrinkles and fine lines appear reduced. The nourishing, hydrating and protective properties of Smile Code make the lips feel smooth and hydrated, for a more radiant smile. Apply in the morning before make-up and in the evening after removing make-up, all year round. The contour care is applied to the lip contour using the brush tip. 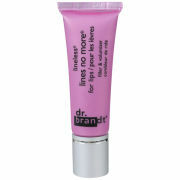 The plumping lip care is thjen applied to the lips using the mousse nozzle. Plumping Lip Care: Hydrogenated Polyisobutene, Silica Dimethyl Silylate [Nano], Pentaerythrityl Tetraisostearate, Persea Gratissima (Avocado) Oil, Simmondsia Chinensis (Jojoba) Seed Oil, Ethylhexyl Palmitate, Ethylhexyl Methoxycinnamate, Peg-8, Butyl Methoxydibenzoylmethane, Cera Alba (Beeswax / Cire D’abeille), Cetyl Palmitate, Salicylic Acid, Caprylic/Capric Triglyceride, Tribehenin, Silica Dimethyl Silylate, Sorbitan Isostearate, Butylene Glycol, Pentylene Glycol, Stearic Acid, Synthetic Wax, Ethylhexyl Salicylate, Cinnamomum Zeylanicum Bark Oil, Sodium Chondroitin Sulfate, Cinnamal, Glycine Soja (Soybean) Oil, Lactic Acid, Tocopherol, Atelocollagen, Eugenol, Ascorbyl Palmitate, Linalool, Piper Nigrum (Pepper) Seed, Palmitoyl Tripeptide-1, Zingiber Officinale (Ginger) Root Extract, Benzyl Benzoate, Bht, Ascorbic Acid, Citric Acid, Aluminum Hydroxide, Ci 73360 (Red 30 Lake), Alcohol. Anti-Age Lip Contour: Aqua (Water / Eau), Cetearyl Ethylhexanoate, Glycerin, Phenoxyethanol, Albizia Julibrissin Bark Extract, Polysorbate 20, Acrylates/C10-30 Alkyl Acrylate Crosspolymer, Carbomer, Hydroxyethylcellulose, Sodium Hydroxide, Potassium Sorbate, Sodium Nitrate, Butylene Glycol, Oxothiazolidine, Sodium Benzoate, Glyoxal, Darutoside, Lecithin, Plankton Extract.